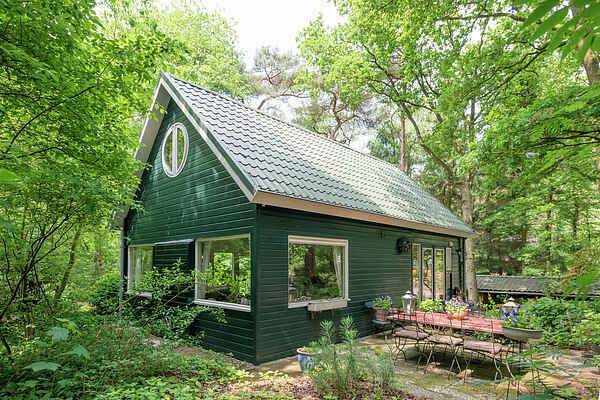 The Boshuis holiday home is near the town of Dalfsen in the Province of Overijssel. The home lies amidst the area's famous shifting sands. The home is comfortable, pleasantly furnished and equipped with all modern conveniences. It is in a wooded area near the River Vecht. The Boshuis is a cosy, attractive accommodation where you can enjoy a delightful holiday. You will enjoy privacy and tranquillity here. The surrounding area is excellent for walking and cycling. You can cycle along the Sallandse Heuvelrug route and walk along the banks of the Vecht. You can enjoy shopping in the city of Zwolle. The town of Ommen has charming pavement cafes and the Hellendoorn Adventure Park is not far. You'll find something for everyone in this attractive area.